Totana.net - The PP calls on Murcia society to go to the concentration in Madrid "to return the Constitutional order in Catalonia"
The PP calls on Murcia society to go to the concentration in Madrid "to return the Constitutional order in Catalonia"
"We call on Murcia society, in particular the residents of Aledo, Librilla and Totana, to attend the concentration of Madrid, next Sunday, convened by the party at the national level in order to return the Constitutional order in Catalonia". 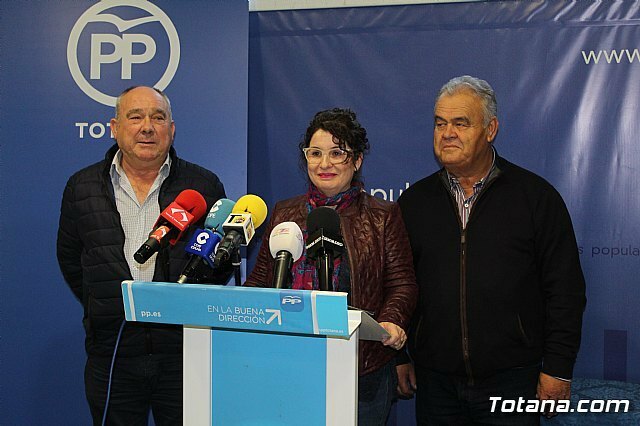 In this regard, Sánchez Ruiz has announced that the regional PP "will make available to all Murcia who want to defend the unity of Spain free coaches." 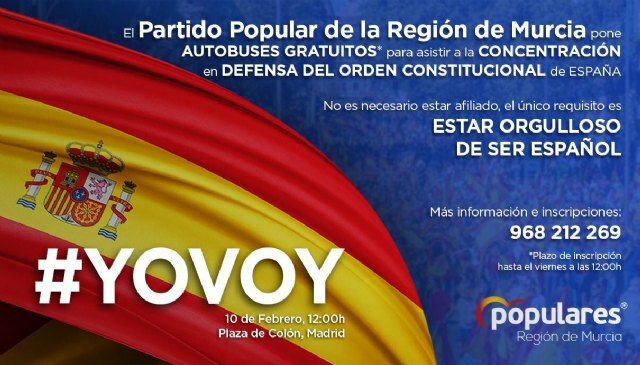 He has remarked that "to go to Madrid in the buses chartered by the PP you do not have to be affiliated with our party, but feel proud of being Spanish." And get in touch with any member of the PP of these municipalities in order that we have them for the buses. Since the PP has insisted "we show our absolute rejection of the transfer of the Government of Pedro Sánchez to the demands of the independence" and, he continued, "to a mediator participate in the table of parties created in Catalonia to discuss the Catalan problem "
"We consider it impudent that Pedro Sánchez betrays his country just to get a few votes that he needs to approve the General Budgets of the State and thus maintain the chair of Moncloa." this "is the most evident proof that this dangerous occurrence of Pedro Sánchez can only respond to the demands of the separatists and Catalan separatists." The PP will lead, as the first political force in Spain, the concentration to which other constitutionalist parties have joined so as not to continue humiliating our country, "Sánchez Ruiz said, concluding that" it is a concentration in defense of Spain and the Spanish". On the other hand, Sánchez Ruiz, requires the PSOE of these municipalities, in particular their representatives, to express their point of view before the approach followed by its National Head, Pedro Sanchez, since the Government Delegate, Diego Conesa, prefers to sell the unity of Spain and Murcia in order to remain in office.